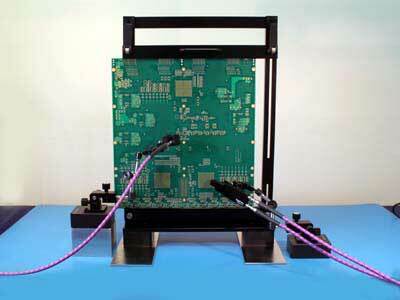 VPS100 probe station is designed for double-sided testing of printed circuit boards. 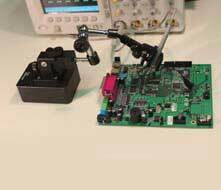 Comprising one VPH100 vertical PCB holder and two FP160 Flex positioners, this probe station allows engineers to make oscilloscope or VNA measurement easily. FP160 can also hold Dino-Lite microscope with a special adapter to view hard to reach area. 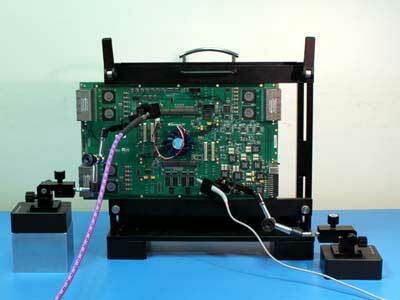 Solid vertical PCB holder grips the PCB firmly and stably. 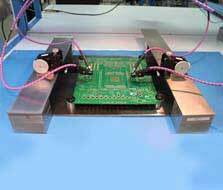 Magnetic bases allow a user to easily move the PCB for the ease of probing. Flex Positioner FP160 makes good probe placement and leveling easy and quick. 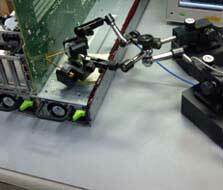 FP160 can also hold microscope to view probe tips and DUT in almost any orientation.